Laminitis is a painful condition of the feet which can affect any horse, pony or donkey, (although it's not seen as frequently in horses) and even some other animals such as cattle. The front feet are more usually affected than the hinds however, it can be found in all four feet. (NB: In North America especially, laminitis maybe known as "founder"). The precise causes of laminitis are not fully understood by veterinary science, although research is on-going. One of the most commonly seen factors for triggering laminitis is the eating of lush grass, with overweight or obese ponies being particularly at risk. There are many other triggers to laminitis too - with frosty grass eaten on a sunny day being a typical cause, to even some medicines (taken for other reasons) having a side effect of triggering laminitis in some equines. With there being a range of other potential causes, if you suspect your animal may have laminitis do speak to your Veterinary Surgeon urgently. Symptoms of laminitis vary from mild stiffness, sitting down more frequently than usual through to being unable to walk, or having a very "pottery" gait. A pony with laminitis will sometimes stand in such a way as try and relieve pain on its toes - and be "rocking" backwards. It's important to remember that each animal is different and one may display varying symptoms to another. 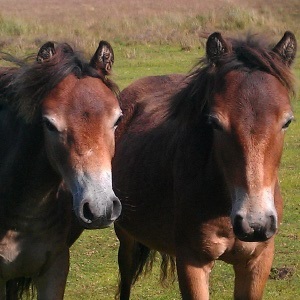 How can complementary therapies help your laminitic equine? First of all, if you suspect your horse, pony or donkey has laminitis, then you should get your vet and farrier to examine them as soon as possible. Getting professional (and expert) help at an early stage, may help to prevent the animal's health to deteriorate further, which with laminitis can easily occur (with potentially fatal consequences). Once an equine has had laminitis, it is more prone to experiencing further laminitic attacks, and so taking preventative action is important. Your Vet will have a range of conventional medicines to help, and a farrier can also assist through corrective trimming of the feet, plus using special shoes (e.g. a heart-bar shoe) where appropriate. General stable management and care is important in looking after the laminitic equine too - with different stable beddings being useful (for example shavings can offer support to the feet, and so is more beneficial than straw bedding), to a targeted exercise regime and careful grass turnout also being essential in the overall care of a laminitis prone equine. Veterinary Acupuncture has been found to be useful in helping equines suffering from laminitis. There are several Veterinary Surgeons who have completed specialist training to help animals through the use of acupuncture, and are members of the Association of British Veterinary Acupuncture. Essential oils can be used to help animals for a variety of ailments. Professionally trained animal aromatics practitioners have been able to assist equines with laminitis, including helping managing their condition to prevent further deterioration. 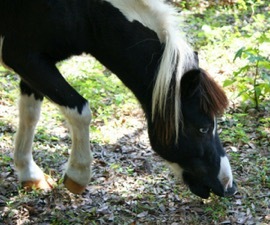 A Bach Flower Remedy may help ease the symptoms of laminitis. Choosing the best remedy to suit your animal is of course essential and so consulting with professionally trained practitioner is recommended. Massage can help promote circulation and eliminate toxins, and this can play a vital role in helping an equine with laminitis. As with all complementary therapies, do choose a therapist who is professionally trained. This holistic technique has also been found to assist some equines with laminitis, and so may also be worth trying. As there are so many available, we aren't listing them here. However, to help you choose between them we suggest you ask your Veterinary Surgeon for advice first. S/he maybe to advise on which would be the most suitable for your animal. Whilst recommendation of a product's abilities is a useful way to choose a supplement, it's important to note that whilst one feed supplement may work for one animal, it may not work for the next - each animal is different. It can also take varying amounts of time for your animal (& you!) to notice a difference - some animals may respond to a feed supplement within 1 week - other animals may take up to 2 months to show any improvement. Hydrotherapy can assist with increasing the circulation within the foot. Therapy could be in the form of a cold water Equine spa, and/or "hot-tubbing" as the warmth can be helpful too. Your Vet will be able to advise on how best to use hydrotherapy to help your animal. This therapy has been used by numerous equines to help them find relief from the symptoms and help prevent episodes of laminitis. The holistic approaches listed are above are some of the most common ones used to help horses, ponies and donkeys suffering from laminitis. However, other therapies can sometimes also help. You may find that your equine will benefit from more than one being used - for example, combining a feed supplement with Shiatsu or Massage therapy, etc. Do remember that any complementary therapy (including feed supplements) can also vary in how quick they are to take effect, and so may need to be used on a regular basis for some time. As with all complementary therapies do seek the advice of your Vet first before using any of those listed above for helping your laminitic equine. A therapist will always need your Vet's permission before treating your animal, and regular liaison between the two professionals can often bring greater results to your animal's health anyway. Like help on finding a holistic therapist for your animal? Email us at info@taranet.co.uk - we're happy to help!